Don't want to publish your Document or Message right away? Drafts are a quick and easy way for you to save your work to publish later. Or, you can find them through your My Stuff menu on your Home Screen. Once you're ready to return to your draft, open it up and choose whether you'd like to publish or continue editing it. When it's ready for the world, click on the Post this message or Post this document button. Don't forget to choose who should be notified! 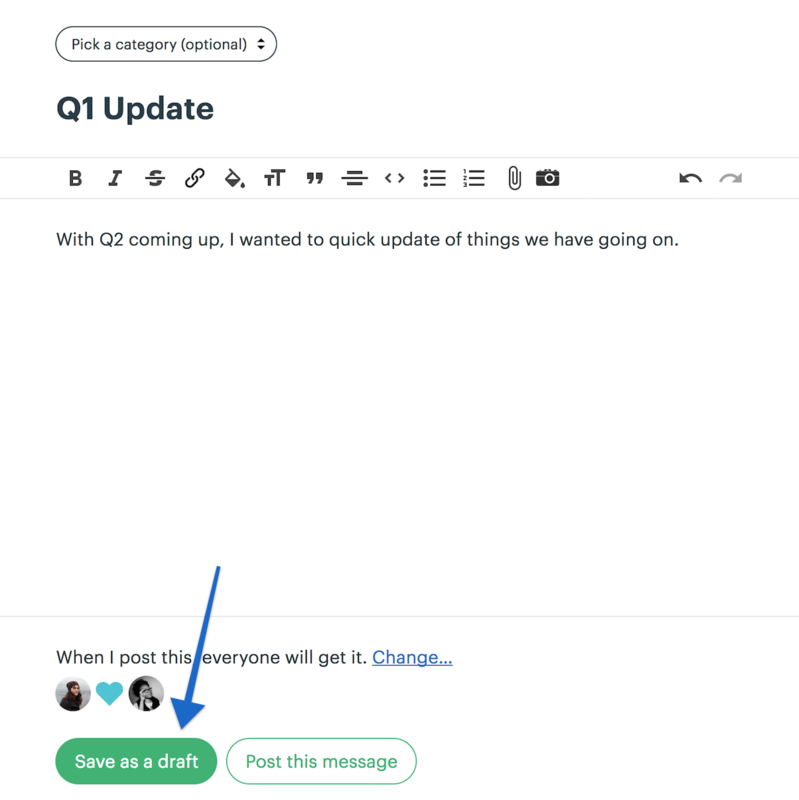 To share a draft, you'll need to send a direct link to someone else in the project. Otherwise, the draft is only visible to you.